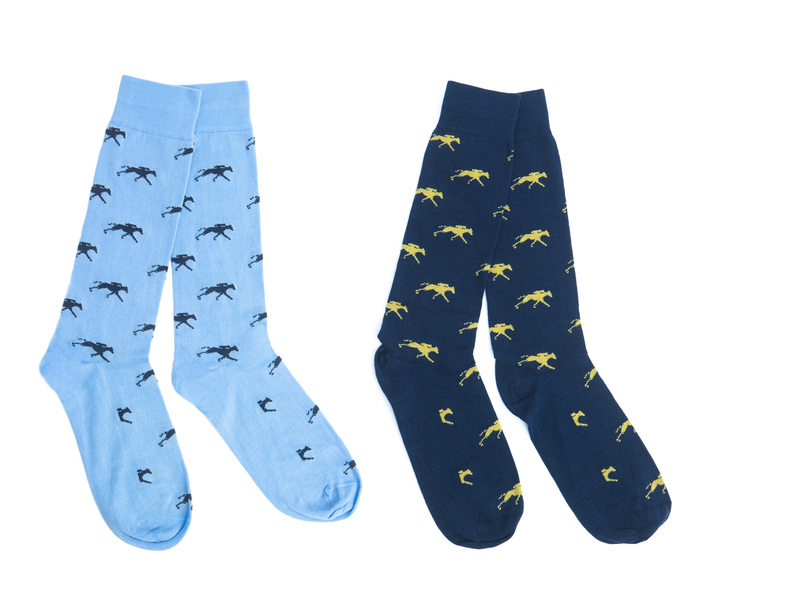 We teamed up with our friends at Kentucky for Kentucky to make some more unique socks, including an all-new navy version of the popular “Racing Horse” design. Read more about the collaboration here. Limited quantities available. 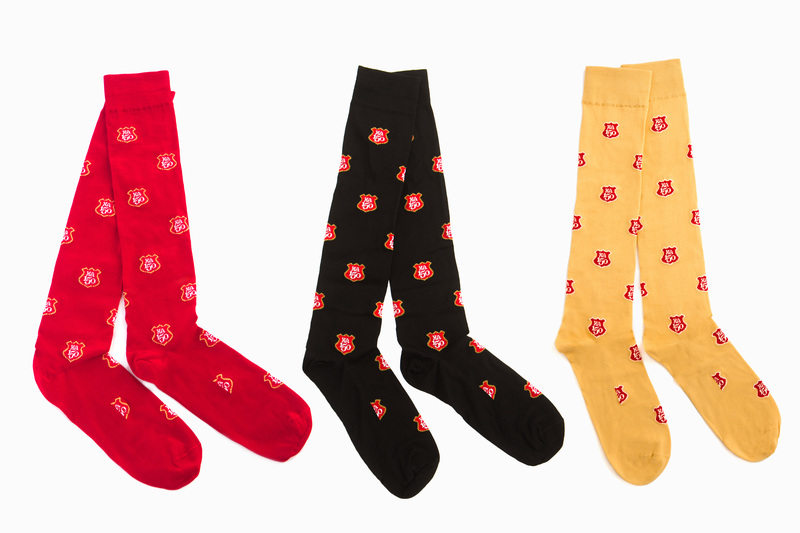 Get your fun socks while supplies last! 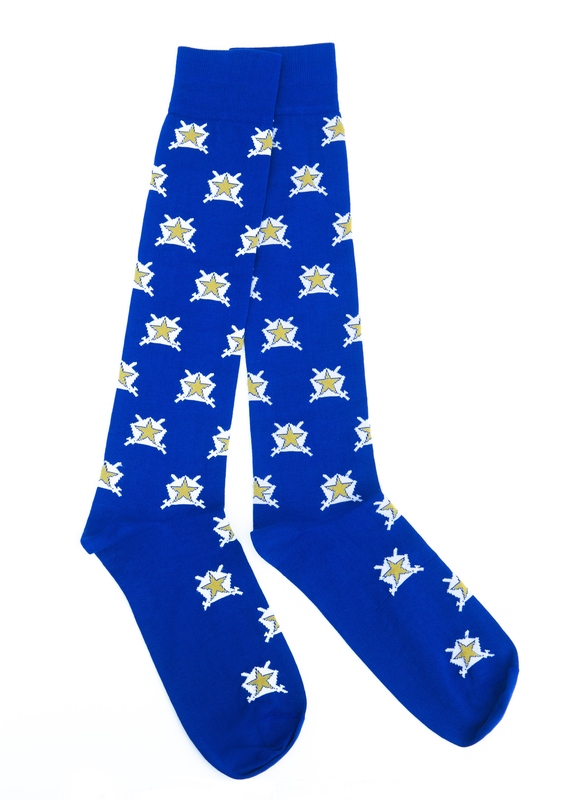 We’re excited to announce the release of our newest socks made exclusively for Kentucky for Kentucky. 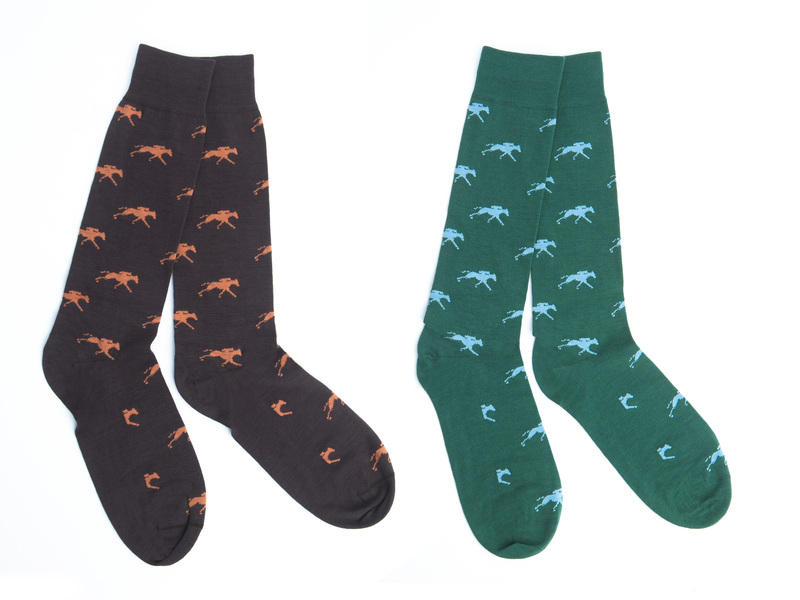 These new “Racing Horse” hunter green fine merino wool socks feature a classic tan horse and silver horseshoe pattern. Our friends at KY4KY also re-stocked on two other fun styles: “Clucking Awesome” and “Run for the Bourbon“. Get yours while supplies last! The Dapper Classics Team is a fan of sports, so we were excited when the opportunity presented itself to participate in the 2016 NBA Draft. We recently teamed up with LW Branding to provide socks for two of the draft’s top prospects – Dragan Bender and Wade Baldwin IV. Lauren Walsh founded LW Branding in 2015. LW Branding is a branding agency for amateur and professional athletes. The agency’s mission is to help clients “create, develop, and capitalize on their personal brands to ensure long term success now and long after their active careers.” LW’s services include character and crisis management, charity involvement, communication consulting, and personal styling. The agency has worked with Jermichael Finley (NFL, Green Bay Packers), Sam Dekker (NBA, Houston Rockets), and Purdue University football among others. We at Dapper Classics appreciate the role of style in personal and professional branding, so working with LW Branding was a natural fit. The 2016 NBA Draft was an exciting night for Dapper Classics. Both athletes who wore our socks during draft week were selected in the top 20. Dragan Bender, a forward/center from Croatia, was drafted 4th overall by the Phoenix Suns. Wade Baldwin IV, a guard from Vanderbilt University, was drafted 17th overall by the Memphis Grizzlies. We wish Dragan and Wade the best as they begin their NBA careers. If their NBA game proves as strong as their sock game, they will be in good shape. *Images of Bender and Wade wearing Dapper Classics socks are viewable here (Bender) and here (Wade). **If you are a branding agency seeking menswear for your clients and are interested in Dapper Classics, please email us at contact@dapperclassics.com. We teamed up with our friends at Kentucky for Kentucky to make these fun Kentucky-inspired socks. Get yours while supplies last! Pi Kappa Phi was founded in 1904 at the College of Charleston in South Carolina. Over the last 110 years, the fraternity has grown from a membership of 3 to more than 100,000 – with chapters in nearly every state in America. Recently, the fraternity reached out to Dapper Classics to see if we could make some socks exclusively for Pi Kappa Phi. We were happy to knit a unique design which features the fraternity’s colors and star and swords logo (pictured right). Pi Kappa Phi’s mission is “To create an uncommon and lifelong brotherhood that develops leaders and encourages service to others for the betterment of our communities.” The fraternity’s alumni features leaders across a variety of fields, including Henry Fowler (former U.S. Secretary of the Treasury), Randy Owen (lead singer of the Grammy Award-winning country band Alabama), and Rich Eisen (sports journalist). To learn more about Pi Kappa Phi, visit their website. Dapper Classics is glad to knit custom socks for fraternities. If your fraternity is interested, please email us at contact@dapperclassics.com. Kappa Alpha Order was founded on December 21, 1865. This year the fraternity celebrates its 150th anniversary. We were thrilled when KA reached out to us about making socks to celebrate their sesquicentennial. We knitted three designs exclusively for Kappa Alpha. Each style incorporates the fraternity’s colors (Crimson and Old Gold) and “150” crest logo. Kappa Alpha is comprised of 126 chapters and has 155,000 initiated members. The fraternity describes itself as “the Moral Compass for the Modern Gentlemen”. KA has produced leaders in a variety of fields, including J. Edgar Hoover (the first director of the FBI), Brandt Snedeker (PGA Golfer and FedEx Cup Champion), Zac Brown (Grammy Award Winning Musician), and Allen Stephenson (founder of Southern Tide). To learn more about Kappa Alpha Order, visit their website.